Marijuana stocks are hot in today’s market, but pot stocks are not the only way for you to profit from the habits of other people. 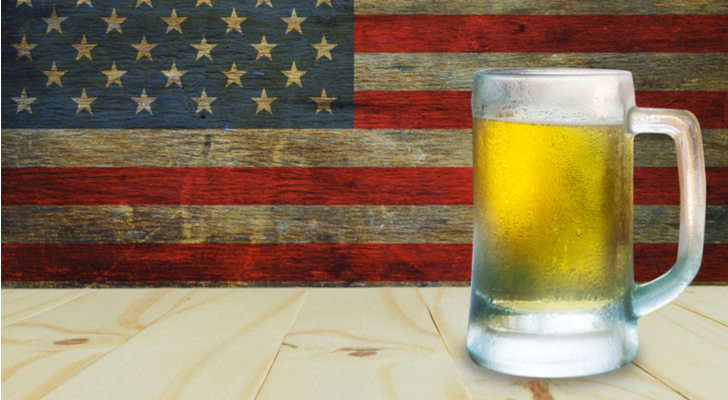 Alcohol has been legal in America for 85 years, and the industry’s consolidation has delivered some solid investment opportunities. These are companies with solid growth prospect that you can invest in with confidence. You can also quench your thirst in any number of ways. You can go with diversity in Constellation Brands (NYSE:STZ), you can go for global growth with Anheuser Busch InBev (NYSE:BUD), or you can go for U.S. growth with The Boston Beer Co. (NYSE:SAM). If you’re into the marijuana business, the best liquor play has you covered. That would be Constellation Brands, with a five-year gain more than double that of the Nasdaq average, and a rising dividend as well. Constellation is based in upstate New York as a wine company but is better known today for its beer and spirits. 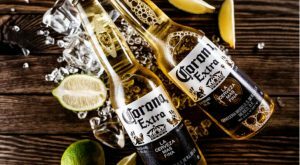 It owns Modelo as well as the U.S. rights to Corona beer and has a full range of liquor brands including Svedka Vodka, Casa Noble Tequila and Black Velvet Canadian whiskey. Constellation is a heavy advertiser and is strongest in the U.S. market, where it has 11% of the in-store wine market and over one-third of its sales. The company brings about one-third of revenue to the net income line, which meant $746 million in net income on $2.05 billion of revenue during the quarter ending in May. Sales were up 25% between 2015-2018 and 16 of 23 analysts following the stock rate it a buy. If you still want a pot stock, however, Constellation is a pot stock. It has agreed to buy 35% of Canopy Growth (NYSE:CGC), the Canadian marijuana grower with 30% of that country’s market share as it prepares for legal recreational sales. The owner of the Budweiser brand is also your best bet for getting in on the global growth story in beer. Anheuser Busch InBev grew through acquisitions from a small Brazilian brand called Brahma, under the leadership of 3G Capital, the global investment firm that also put together Restaurant Brands International (NYSE:QSR) and Kraft-Heinz (NYSE:KHC). The company, known as InBev, bought Budweiser in 2008 and took its name. If you’re buying BUD stock right now, however, you’re buying on weakness. The shares are down 20% so far in 2018. But the dividend of almost $2.39 last quarter gives it a yield of 5.35%. Management sets the dividend each quarter, and it varies based on results, but the company is devoted to the return. In its continuing battle with craft brews, Budweiser has been innovating by crafting a brand called Reserve Copper Lager with the Jim Beam distillery and signing deals with baseball and basketball unions to put their athletes into its ads — the first time in years active athletes have been represented. The Boston Beer Co. is the hottest stock in the beverage industry right now, up 53% so far in 2018. But SAM stock’s jump has not been because of beer. Boston Beer helped jump-start the craft beer movement with its Sam Adams line, which it began brewing in 1984. While the beer is named for the Revolutionary War leader, co-founder, chairman and spokesman Jim Koch is not related to him and much of the beer is brewed outside Bethlehem, Pennsylvania, in Breinigsville. The recent run-up in the stock is thanks to a hard cider, called Angry Orchard, which was launched in 2012 and now represents 20% of the company’s volume. In keeping with the founder’s German-American roots, the company is also building beer gardens, large facilities in central cities that can also draw tourists. Boston Beer needed the kick of cider because its beer brands remain under pressure from big brewers like Bud, on the one hand, and tiny craft brewers on the other, which consider Boston Beer a big brewer. There are only 8.47 million shares outstanding, which is why the stock price on Sept. 20 was $291, but that meant its $23.3 million in net income for the second quarter, on $273 million in revenue, came to nearly $3 per share. The company’s relatively small size, a market cap of just $3.35 billion, means only 13 analysts currently cover the stock, and most have it listed as a hold. The shares are also very volatile. Its low for the year so far was $164 per share, and its high was $314. Dana Blankenhorn is a financial and technology journalist. He is the author of a new mystery thriller, The Reluctant Detective Finds Her Family, available now at the Amazon Kindle store. Write him at [email protected] or follow him on Twitter at @danablankenhorn. As of this writing, he owned shares in QSR. Article printed from InvestorPlace Media, https://investorplace.com/2018/09/3-legal-highs-portfolio-alcohol-stocks/.